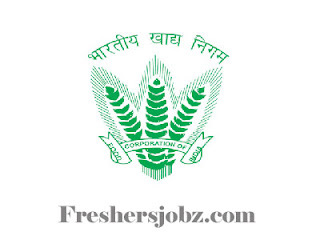 FCI Notification 2019.Food Corporation of India, FCI has released a notification for the recruitment of Junior Engineer, Steno, Assistants vacancies.In Northern Zone, South Zone, NE Zone, East & West Zones the positions will be filled.Check the eligiblity and notification prior to apply for the positions. Degree or Diploma in Civil/ Electrical/ Mechanical Engineering holders can apply for Junior Engineer post. B.Sc in Agriculture/ B.Tech holders can apply for Assistant G-III (Technical) post. Graduation holders having good typing speed can apply for Typist & Steno posts. Bachelor of commerce holders can apply for AG-III (Accounts) posts. Candidates have to attend ONLINE TEST to be selected. The test comprises of Phase I and Phase II. Phase I is for 100 marks and Phase II consists of 4 papers. Go through the PDF to know paper wise marks. Contenders who qualifies in online test will have Skill test and Document verification further. Apply for FCI (Food Corporation of India) Recruitment 2019 through ONLINE mode. The online portal link will be active from 23rd February 2019 to 25th March 2019. To apply applicants must possess valid email id along with scanned documents, photo & signature. Go to Home page and select the desired notification. In you are a new user, you should register first or else login directly. Fill all the empty blanks and upload the documents. Application fee for General/ OBC category applicants is Rs.500/- and there is no fee for SC/ST/PWD candidates.